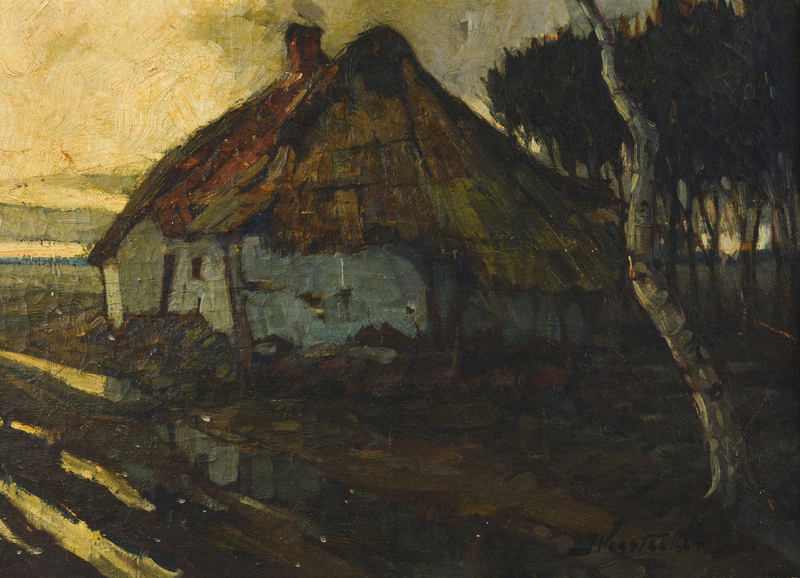 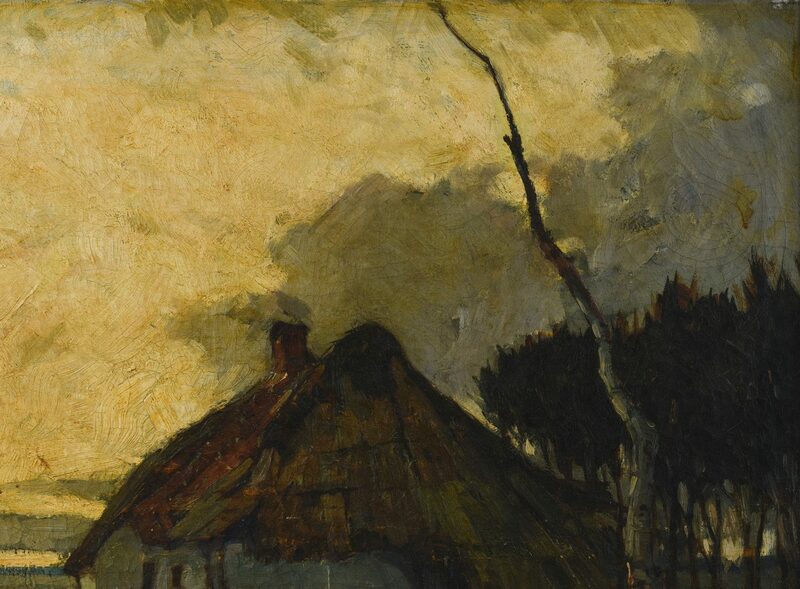 Jules Verstreken (Belgium, 1882-1961) oil on canvas landscape depicting a thatched cottage in a marsh setting. 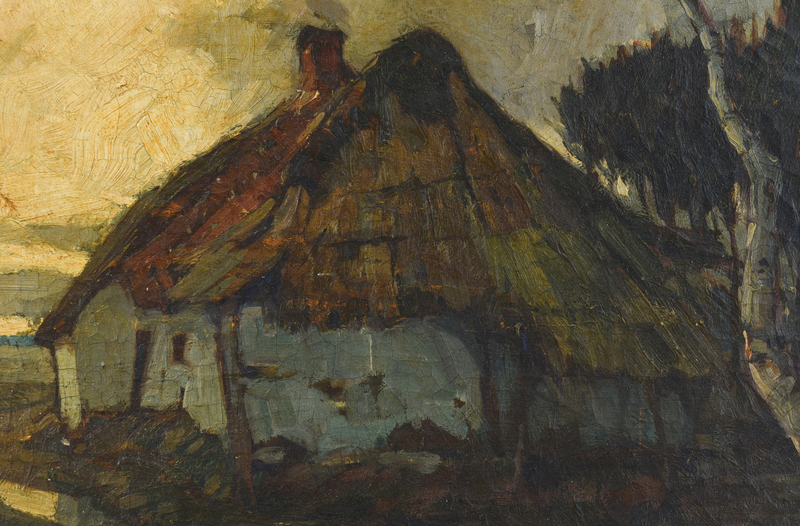 Signed "J. Verstreken" lower right. 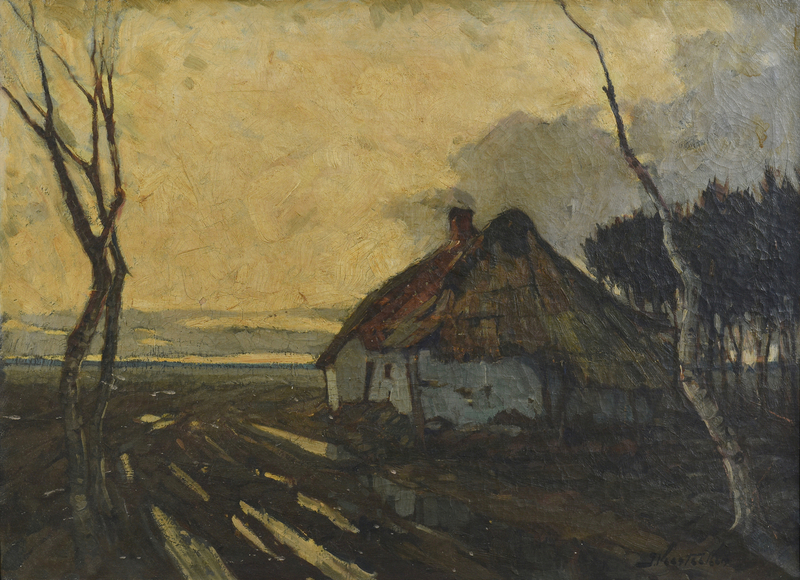 Label en verso reads "Breehtoehe, Heide" together with another label reading "Jules Verstreken/Kempisch Schleider". 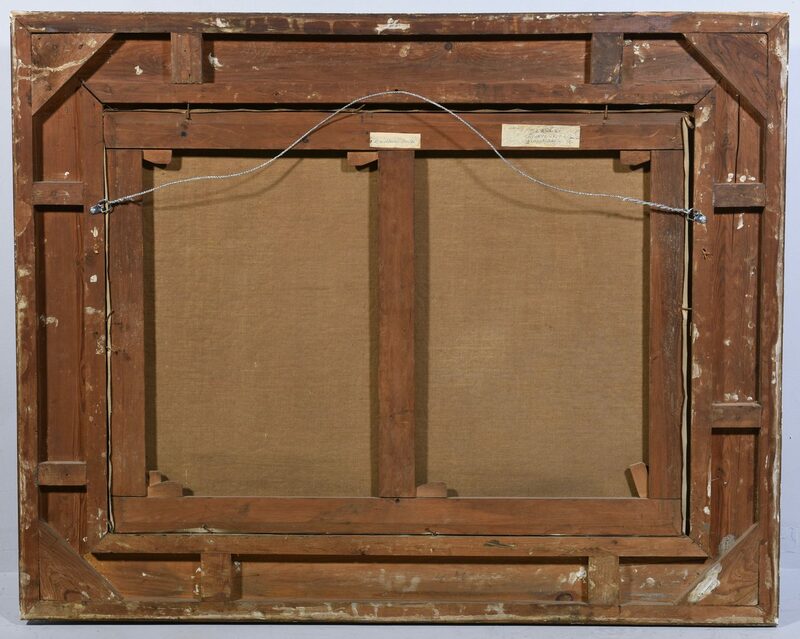 Housed in an elaborate dark brown carved wood and composite frame. 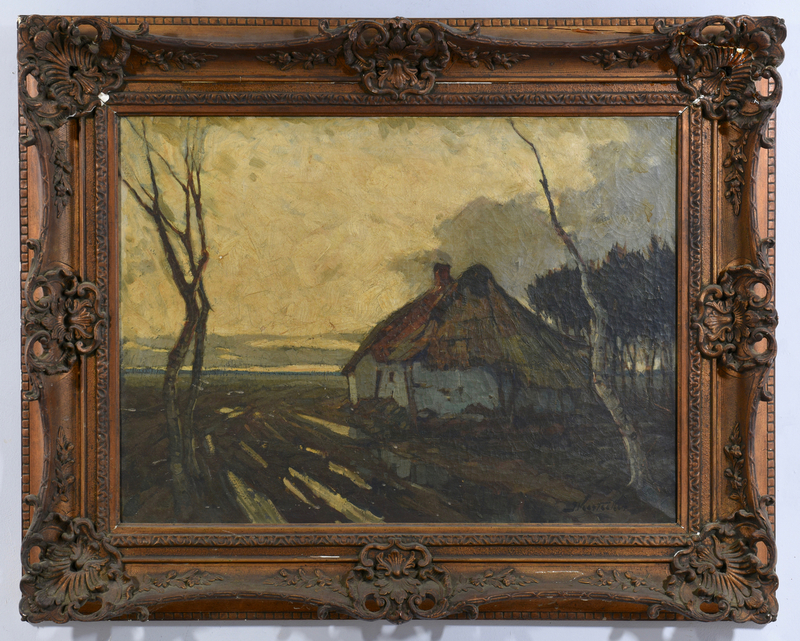 Sight – 21 1/4" H x 29" W. Framed – 31 1/2" H x 39 1/4" W. Early 20th century. 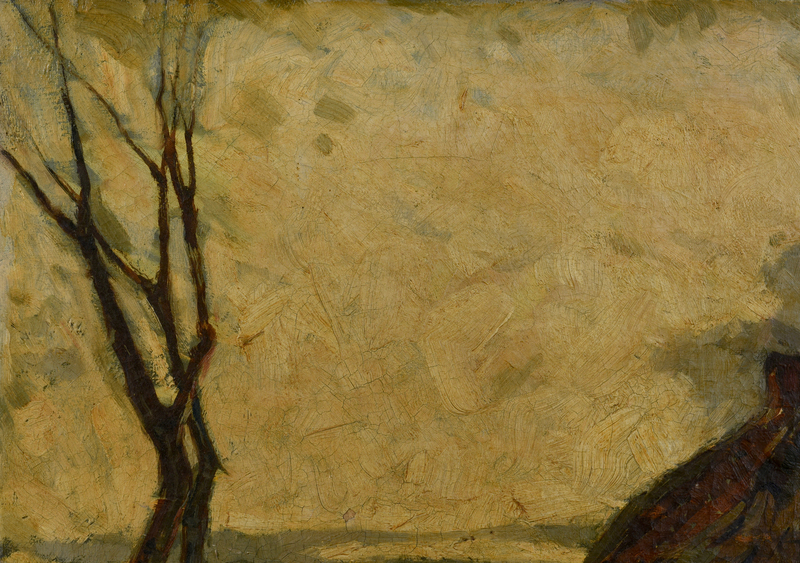 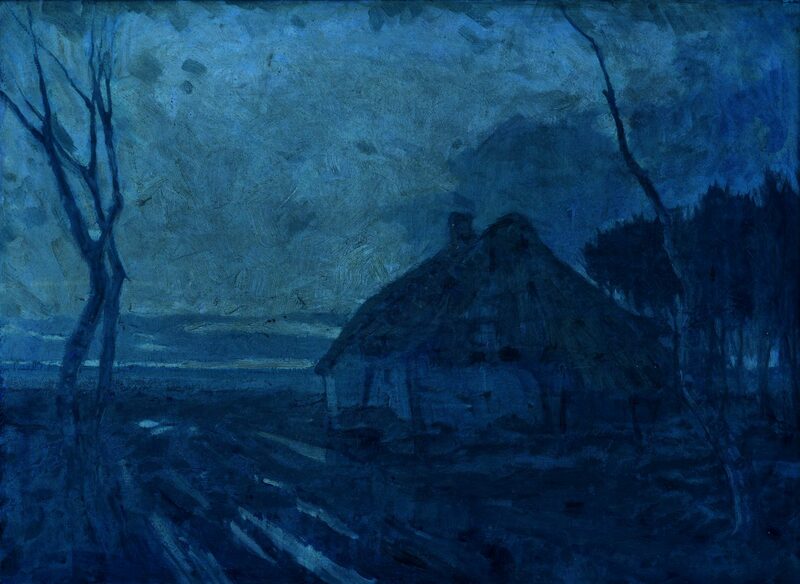 Note: Jules Verstreken was a Flemish visual artist who is known for his landscape paintings. 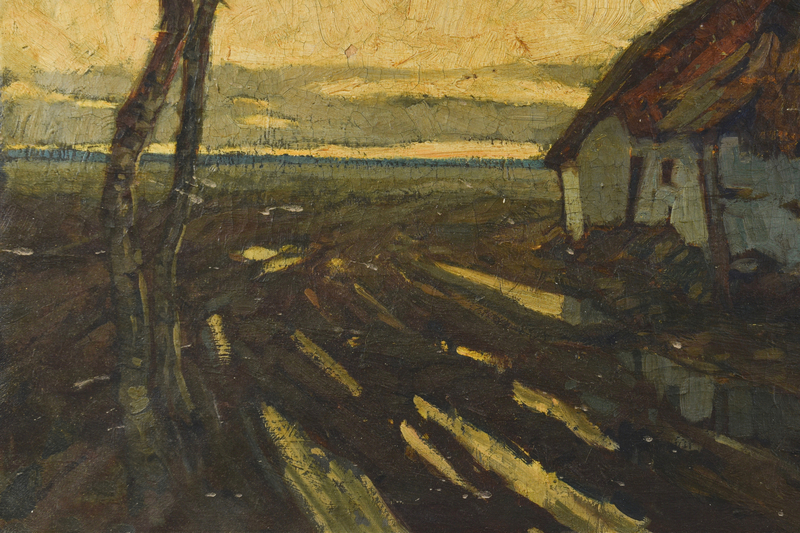 CONDITION: Surface grime, overall light craquelure with flake to lower middle sky, residue spatter lower left quadrant (appears to be removal with wet cloth). 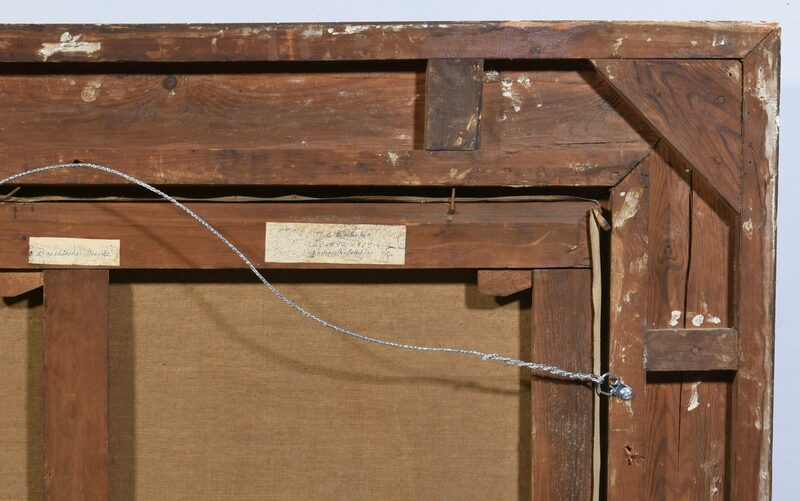 Repairs to frame with overall general wear and losses.